To celebrate the 20-year-anniversary of the Cruyff Foundation, Artihove has reissued this unique Johan Cruyff mini-statue. It’s a real collector’s item. 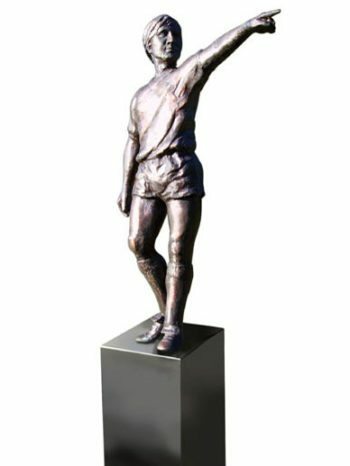 Artihove designed the original one back in 1999 to commemorate the ‘Match of the century,’ concluding hundred years of top-level football in the Netherlands. The life-size statue is still on show at the headquarters of the Royal Dutch Football Association (KNVB). Johan had his own unique style, in which he directed football and consequently wrote Dutch sporting history. The pointing Johan Cruyff represents this style. Twenty years ago, he also set course for the Johan Cruyff Foundation. With his philosophy in mind, Johan will continue to show the Foundation the way in the future. 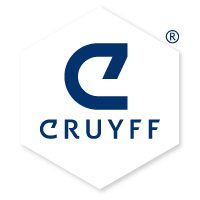 By purchasing the statue (mini or bigger size), you support the Cruyff Foundation and its mission to help children move up by being active. You can order the statues at artihove.co.uk/cruijffsculptuur.